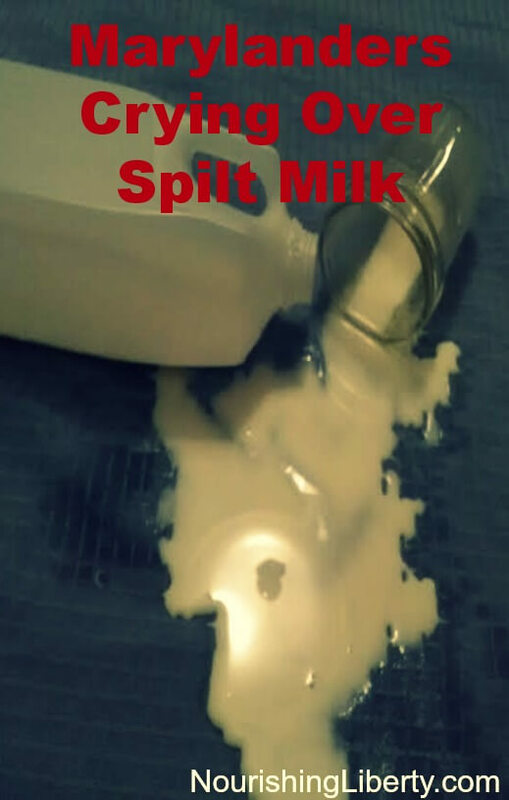 Press Release: Raw Milk Coming to Maryland? Annapolis, MD January 27, 2014–Maryland Farmers and consumers are working to get fresh, local milk back in their glasses and give new life to struggling dairy farms. A bill legalizing raw milk in Maryland is scheduled for a hearing on Tuesday, January 28, 2014 in front of the House Health and Government Operations Committee (HGO). The bi-partisan bill, would restore Maryland citizens’ right to board a cow with a Maryland dairy in order to obtain fresh milk. HB3– Raw Milk–Consumer Owned Livestock was introduced by Delegates James Hubbard, (D-23A) and Nic Kipke (R-31). The hearing begins at 1:00 pm in HGO committee room 241 in the Lowe House office building. Since the Maryland Department of Health and Mental Hygiene (DHMH) instituted a ban on cow shares in 2006, Maryland has lost over 10% of its dairies. A 2010 report from the Maryland Dairy Industry Oversight and Advisory Council paints a bleak picture of the dairy industry in the state. Farmers are hopeful this measure will pass and the growing consumer interest in local foods will revitalize dairy farms and stimulate rural economies. Numerous times over the past seven years, the General Assembly killed raw milk legislation in committee. Meanwhile demand for fresh milk is growing steadily. Hundreds of Maryland and District residents want the right to own a family cow. Cow-boarding typically involves multiple families owning shares in a dairy animal. DHMH opposes the measure saying that raw milk is ‘inherently dangerous’ and that no one should have access to the beverage. However, cow owners do have access to fresh milk that goes without question.